Translation Tribulations: Build your own online reference TM for a team or anyone! Build your own online reference TM for a team or anyone! 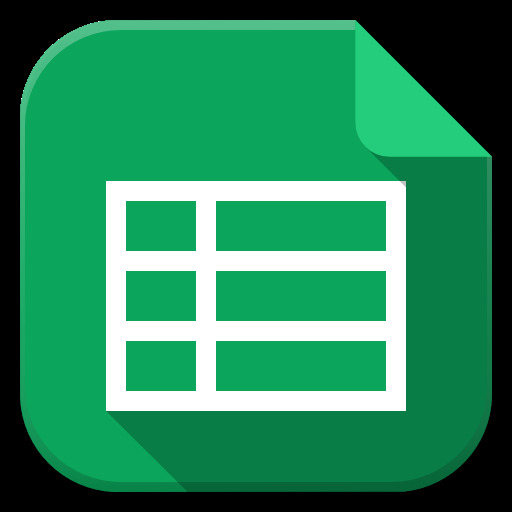 In the past, I have published several articles describing the use of free Google Sheets as a means of providing searchable glossaries on the Internet. 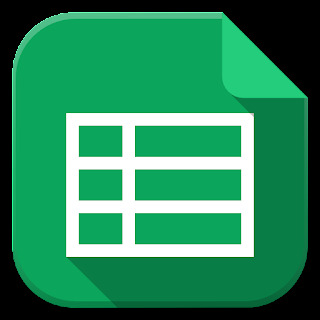 This concept has continued to evolve, with current efforts focused on the use of forms and Google's spreadsheet service API to provide even more free, useful functionality. On a number of occasions I have also mentioned that the same approaches can be used for translation memories to be shared with people having different translation environments, including those working with no CAT tools at all. However, the path to get there with a TM might not be obvious to everyone, and the effort of finding good tools to handle the necessary data conversions can be frustrating. This uses the same parameterized URL search technique described in my article on searchable glossaries. Hits can also be read in context if the TM content is in the order it occurs in the translated documents. This is an advantage currently offered in commercial translation environment tools only by memoQ LiveDocs corpora. 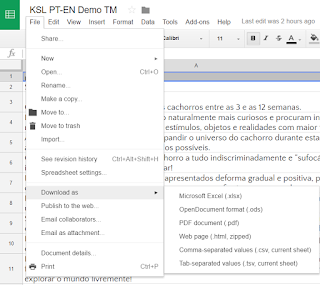 Web search tools of many kinds can be configured easily to find data in these online Google Sheet "translation memories" - SDL Trados Studio, OmegaT and memoQ are among those tools with such facilities integrated, and IntelliWebSearch can bridge the gap for any environment that lacks such a thing. But... how do you go from a translation memory in a CAT tool to the same content in a Google Sheet? This can be confusing, because many tools do not offer an option to export a TM to a spreadsheet or delimited text file. Some suggestions are found in an old PrAdZ thread, but I found a more satisfactory way of dealing with the problem. A few years ago, the Heartsome Translation Studio went free and Open Source. It contains some excellent conversion tools. I downloaded a copy of the Heartsome TMX Editor (the available installers for Windows, Mac and Linux are here) and used it to convert my TMX file. The result was then uploaded to a public directory on my personal Google Drive, and the URL was noted for building queries. Fairly straightforward. 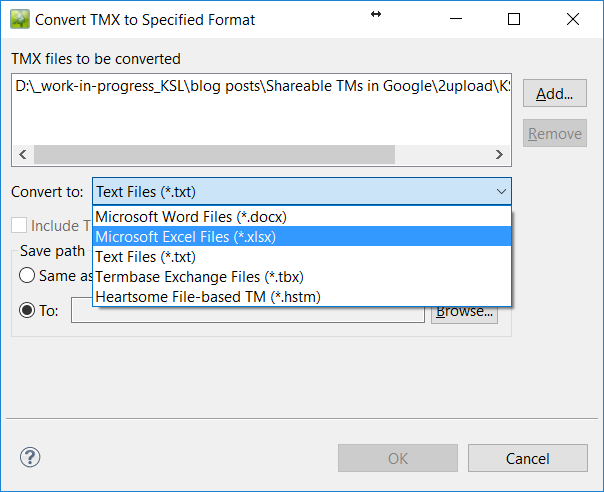 The Heartsome TMX Editor seems like it might be a useful tool to replace Olifant as my TMX editor. While the TM editor in my tool of choice (memoQ) has improved in recent years, it still does not do many things I require, and some of this functionality is available in Heartsome.